The Everton manager David Moyes has revealed that he is looking to offer the veteran players Phil Neville and Sylvain Distin new contracts. Both the players have been at Everton for a considerable amount of time and their contracts comes to an end at the end of this season. David Moyes has said that he is keen to retain the services of both players. The former Manchester United midfielder Phil Neville has been one of the outstanding players for Everton over the years. At 36 and 35 years of age of respectively, they may not have lot in terms of the football abilities, but they give Everton a lot of experience. It is expected that both players will be offered one year extension to their current contracts. Even though we have been excellent to the club over the years, Moyes has urged them to not feel bad about being offered only a one-year extension because it is a decision made with their age in mind. He has said that he is yet to discuss the contract position of both the players with the chairman, but will be doing so after the end of the year. It is likely that both players will be offered new deals in February or March. “We are monitoring Phil’s position but, if you were asking me, I’d say: ‘Let’s give him another year’s contract and keep it going’. I’d say the same for Sylvain Distin, who is in the same position. With all due respect, when you get to their age, they understand most things are on one-year deals or rolling contracts. Both of them have been excellent and I’d have no qualms recommending to the board that we give them another year’s contract,” said David Moyes. Everton will be facing a trip to Reading during the weekend. Phil Neville has said that if he is offered a new deal by Everton, he would be more than happy to continue playing for the club. Neville’s contract with Everton is going to expire at the end of the current season. Neville said that he is not thinking too much about the new contract. If his contract gets extended, it would be great, but, if the club decides to release him, he might look for opportunities outside England. Neville has become 35 years of age now and according to some reports, Everton is not interested in extending Neville’s contract. As per Neville, he still has 2 or 3 years of football left in him and he would not think about retirement even if he would be released by Everton at the end of this season. He would not mind playing in some other country. Neville has been playing for Everton since a long time. He had joined the club in August 2005. Everton had bought Neville from Manchester United after paying a transfer fee which was reported to be somewhere around 3.5 million pounds. He played his first match for Everton against the Spanish club Villarreal CF in a Champions League qualifier. He proved to be a very good buy for Everton. He gave some amazing performances for the club over the years. He was appointed as the club’s captain in 2007 and he has been leading the side since then. Neville had spent some time with the England U21 side earlier this year and helped the young players. On being asked about that, Neville said that there are some highly talented guys in the England U21 team. They were full of energy in the camp and it was wonderful to spend some time with the youngsters. 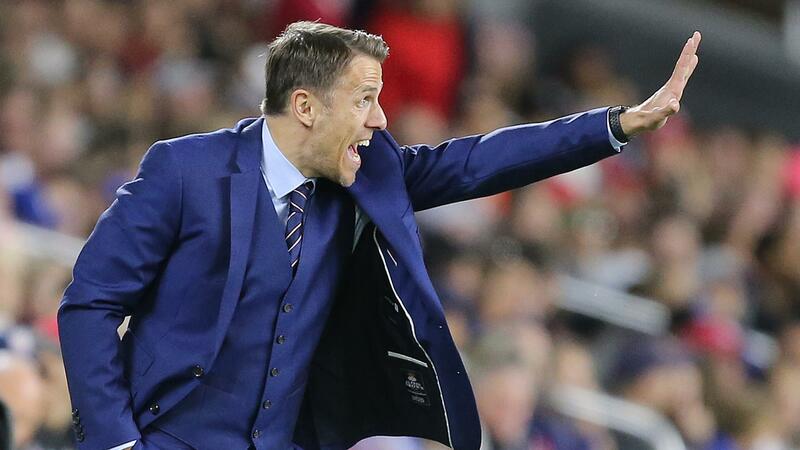 As per Neville, he would love to be a coach once his playing career gets over. Everton veteran Phil Neville has said that he is extremely confident that David Moyes will remain as the Everton manager for many years to come. There has been recent speculation that David Moyes, who has been at Goodison Park for the last decade, will quit as the Everton manager in the summer after growing frustrated about managing the club. Everton have been in dire financial situation for many seasons now. It has prevented David Moyes from spending money in order to improve the team, while he has also witnessed the likes of Manchester City and Tottenham continue to go from strength to strength. As a result, it is thought that David Moyes will now finally be interested in a new challenge, which would see him leave Goodison Park after 10 years in charge. Even though he has not won any major trophy with Everton, he came extremely close to winning the FA Cup final with the club a few seasons ago. However, Phil Neville has said that he does not expect David Moyes to depart the club because he has done a sterling job and wants to continue doing so. Moyes has been praised for the way he has been able to get the best out of the club despite spending very little sums of money. “The way he has managed us in the last month or two suggests to me that he is in it for the long-term. He has been fantastic and rotated the team, something this club hasn’t been able to do before. The lads have really embraced that. He is ambitious and he wants to get to the top. He wants to do that with Everton. We’ve just got to make sure we stop slipping up at this stage of games,” said Phil Neville quashing rumours linking with David Moyes quitting.